Kickstarter Alert: "Drink a Toast to Innocence: A Tribute to Lite Rock"
Get Ready To Get Lite! The lite-rock of the 1970’s and ’80s. You know we mostly love it (and sometimes love to loathe it), ’round the Popdose Ranch. 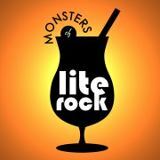 Well there are plenty of other folks who love it too, and they’re putting their ardor on full view in a forthcoming various artists compilation called Drink A Toast To Innocence: A Tribute To Lite Rock. The album is in the final recording stages, and a Kickstarter campaign will soon be mounted to cover the costs of manufacturing and distributing the collection. But who exactly are we talking about here? Mike Viola covering “Steal Away,” Michael Carpenter handling Cliff Richard’s “We Don’t Talk Anymore,” Bleu jacking up Player’s “Baby Come Back,” Kelly Jones, Throwback Suburbia, and many more.